India is its own kind of overwhelming, and if you’re visiting thinking “I don’t really like Indian food,” think again! 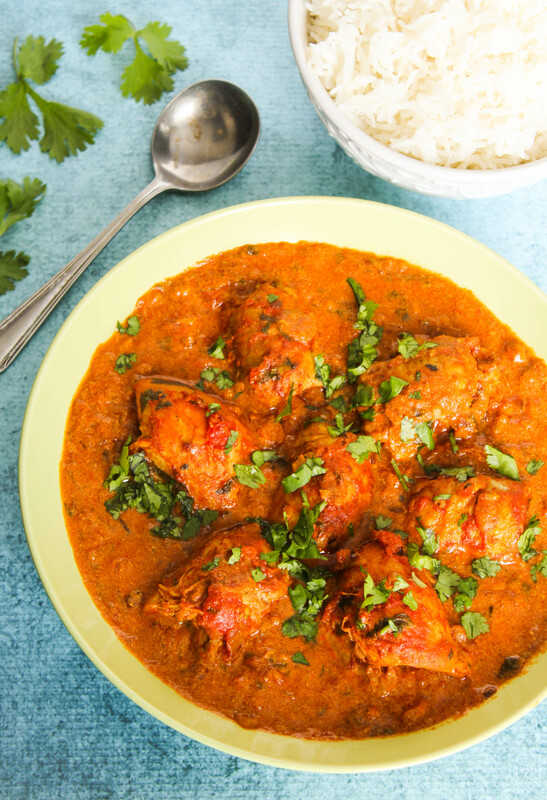 Indian food is incredibly diverse – a northern Indian curry is very different from south Indian cuisine. There’s something for everyone! If you want to start exploring the differences, The Spruce did an excellent overview of North Indian Cuisine and South Indian Cuisine. One important word to know is “Masala.” You’re used to it from Chicken Tikka Masala, but you’ll see it everywhere in India. Masala simply means “mix” and means that a mix of spices was used. So basically everything is masala in India! I have to admit that I had a northern Indian curry in Agra that was my favorite meal of the whole time I was in India. It was a chicken curry, and it was simply fantastic! I love this recipe for northern Indian curry – it’s the closest I’ve come at home to replicating the amazing meal in Agra. While you might think of Naan as “Indian Bread” it’s typically found in northern Indian cuisine, where south Indian food focuses on rice. When you’re in India, the Naan is a must. Especially the garlic naan. It’s fantastic, and it’s excellent for mopping up every last bit of the tasty sauces. Rather than try making this at home, I highly recommend you pick some up from Trader Joe’s. They have both fresh and frozen naan (and garlic naan). It’s cheap, easy, and incredibly tasty! The other thing to remember, especially with the frozen naan, is to add butter at the end like they recommend. Tandoori ovens are very common in north India, and the meat from them is a great choice if you’re tired of lots of gravies. This recipe for tandoori chicken is one of my favorites to use at home! Dosa look quite a bit like crepes, and can be found served in a variety of ways. When I was in India, these were always large! They would be served rolled, with about a 4 inch hole through the middle, and maybe 18 inches long. It was crazy! But so tasty! Dosa are served stuffed or plain, and either way they typically come with at least a few dipping sauces. I loved trying all the dipping sauces! Southern Indian cuisine tends to be far spicier than northern Indian food, so beware. Some dipping sauces were quite spicy! In India, if you see a “Thali” on the menu, I highly recommend getting it. Thali means “snack plate” and it’s generally a mix of foods. I love how it gives you the ability to try quite a few different things in one meal! They’re almost always amazing. It’s one of those things that’s hard to replicate at home – with so many things together, you’d be cooking for quite a while to replicate it. The Thali plates are typically made out of metal and have multiple compartments for the different curries and foods. One of the more well-known Indian dishes, you should definitely try this when you’re in India. It’s a very different experience – part of that is just atmosphere! I’m pretty sure there are as many recipes for Butter Chicken as there are people of Indian descent. Every family has something that makes their unique, which makes it fun! I like this recipe for when I make butter chicken. This is an awesome snack to get in India! It’s a giant round ball of bread/dough that’s been fried and is quite puffy. It’s always served with something on the side – some sort of curry or gravy with chickpeas. I found this to be very different throughout India, and always good! Getting the dough fried properly is a big challenge, so this is another that’s probably a bit too hard to try at home! This was one of my favorite things in India. I had it while camping in rural Rajasthan, so it’s been hard to find a recipe that even begins to approximate it! It’s a sweet cake, but it’s not overly sweet. The consistency is fun – you can taste the semolina! This recipe for suji is the best I’ve found. Leave out the cashews and raisins to make it more like what I had in India!